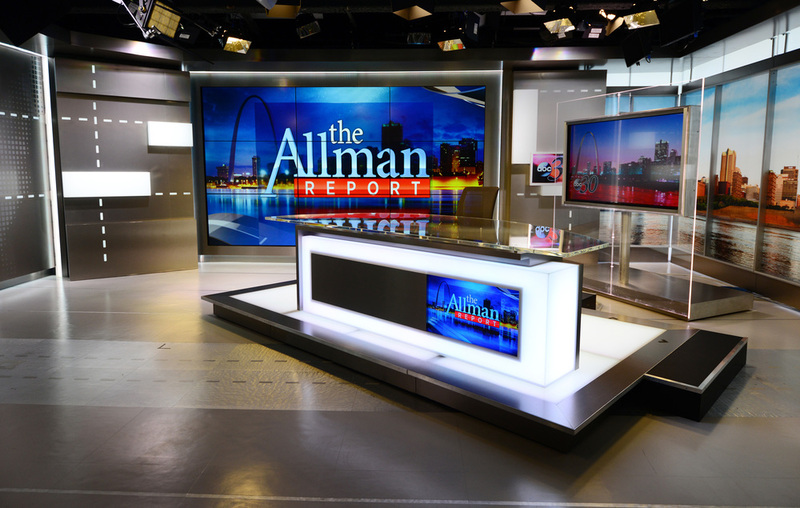 Flexible corporate broadcast studio intended to as a production studio for other companies in addition to the client’s weekly financial show. 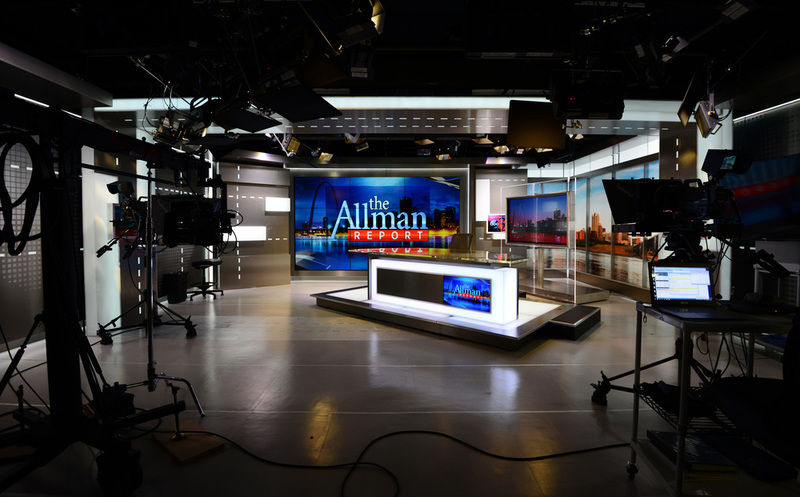 As a small 1000sf studio, the floor plan and studio walls provide multiple shoot-off configurations including main anchor desk, informal area for 1 on 1 interviews and 3 stand-up areas. 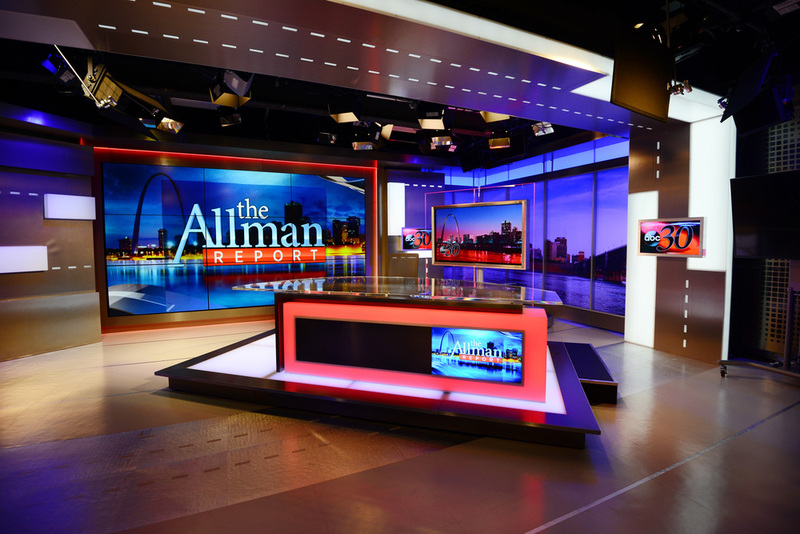 The studio features a 3 over 3, thin bezel monitor wall on its north side, tracking graphic panels which are easily re-branded, 80” wild monitor unit and color shifting RGBA LED walls.